For someone new to internet, it is hard to find even one top website design company. This blog post has been created to change it for Dubai based business owners and entrepreneurs searching for top web design agencies. This list of companies includes best web design agencies in Dubai and international design brands that can guarantee you quality work & maximum results. The company deserves top spot in this list for its extensive portfolio dominated by UAE web design & development projects. FATbit is also known globally for competitive web design packages and expert team of designers. Any list of top web design companies for UAE business community will be incomplete without this team of designers and developers. The company is self proclaimed ‘number one web development agency in Abu Dhabi’. It has a vast bouquet of services on offer including online strategy development, web research, print design and web hosting. Also known for mobile application development, it gives free SEO services with its every package. Located in capital of United Arab Emirates, it is a website design company with Indian name and vast range of offerings. Consulted for web design services in Abu Dhabi, it also offers telecom, security and software solutions. It has more than six years of industry experience and quite a large number of software on offer. FATbit team of designers and developers is credited for the official website of Embassy of Oman in Paris. The usability rich website offers multi-language support, and features the most important sections in the homepage itself. It is a UAE based web services company that offers web design, software development and marketing to global clients. Its team of qualified software engineers, customer relationship managers and smart phone application developers promises to put clients above profits. It also caters to clients in Dubai and western countries. MC Collins Media is a group of 30 young people that specialize in video production, public relations and social media marketing. The team members are proud of their diversity and speak around 11 languages. In case you are looking for best web design agencies in Dubai and want to work with young professionals, then, this team is worth considering. The website represents a distinguished play school brand and appeals to new parents. FATbit assisted Barney & Friends with custom CMS programming and helped in feature inclusion. The website boasts impressive social media features as well. It is a Sharjah based website design development company that mainly caters to Dubai, UAE and neighboring regions. Strong candidate of ‘top web design Co in Dubai’ title, it also specializes in wireless networking, communications and graphic design. It has worked on local as well international design projects. If you are searching for top web design companies in Dubai to work on your online shop, then, this ecommerce solution provider can be great help. In addition to ecommerce solutions, it also specializes in online marketing and mobile application development. Its mission is ‘to take your business global’. 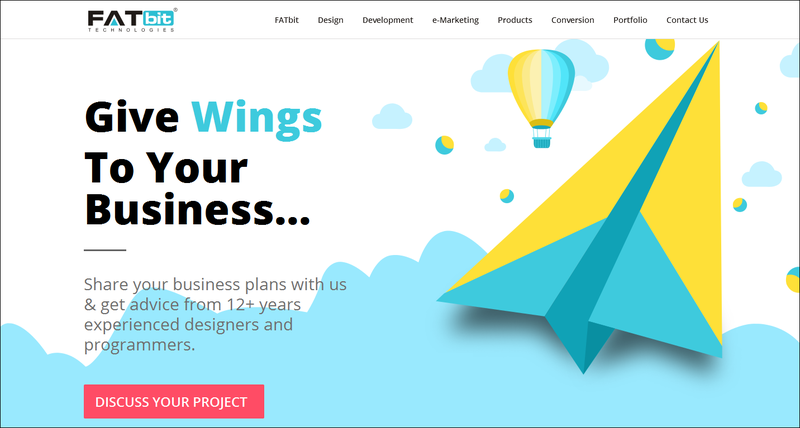 The business website has been developed by FATbit team of designers and developers after carefully studying business goals and company objectives. The professional website offers multiple language support and search features. It is a web services brand that is qualified to break into list of web design companies in Abu Dhabi. The team aims to create a long term relationship with clients and focuses on services related to brand printing, web storage and digital presence. The firm was found in 2003 and started operations in Pakistan. Technologies/Skills: website design, eMarketing, Creative designing, Network Security. It is a web services company that promises 99.9% customer satisfaction rate. The SAIF Zone based website design company also offers hosting, branding and mobile application development related services. Design Arabia has been in the business for almost 5 years and promises quality at lowest prices. Junior Chef represents a team that helps young kids in learning the craft of cooking. FATbit team managed CMS programming and custom development for website owners. The one-page website appeals to children & carries a unique design. It is a website design and development company based in Ajman, UAE that caters to global clientele. It uses creativity and latest technologies to furnish results to its clients. It communicates with businesses and entrepreneurs in Dubai looking for design and development related services. If you are looking for best web design company from the listed ones, then, Bluesky is a strong contender. It is a complete web services provider that also has an office in India. In addition to web design, it also specializes in software development and online marketing. Are you interested in popularizing your brand name with the help of bulk SMS and e-marketing? Sama might be your dream website partner. It has an extensive list of services that also include hosting and domain name. The firm aims to be the biggest name in UAE website design & development. Though we did our best to find and list the best web design companies of Dubai, it is your task to study all of them and finalize the one best suited to your requirements. In case you are having a tough time making the final call, discuss your needs with us and we will highlight the one that makes the best deal for you. Share your doubts and queries in the comment section for quick answers. Posted in Design & Dev and tagged as web design companies UAE, UAE website designers, web designing in UAE, web development UAE, UAE website designing, dubai website designing by FATbit Chef. Thanks for appreciation. Keep coming back for more interesting information. I require IOS App Development Services for my business. Liberal let me know a relationship of IOS application Development Company with the objective that I can proceed. 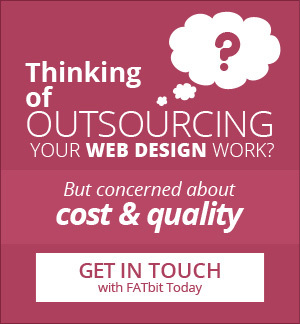 Please send in your business requirements through: https://www.fatbit.com/website-design-company/enquiry.html. Great Collection. It’s important to get a list of website. Go a head. Great collection ! Looks interesting and inspiring.. Your blog is very nice.Thanks for sharing your information. All companies in the above list are genuine. Great work.